Can Ken Make It? : Make this Rolling Moon Prop for Musical Number. You know you want to. Make this Rolling Moon Prop for Musical Number. You know you want to. My daughters dance group was doing the number "Show Off" for a couple of dance competition. So I took some 2 by 4's, plywood, and paint and created a wheeled moon prop. It's my first theatrical prop. I think it ended up alright. The girls seemed to like it. 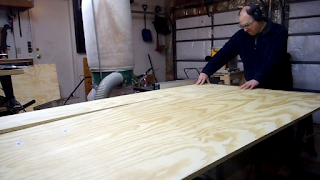 Cut two 5 foot lengths of 2 by 4 and 3 lengths of 33 inch 2 by 4. You can clamp it together with some corner braces and fasten them together with some screws. 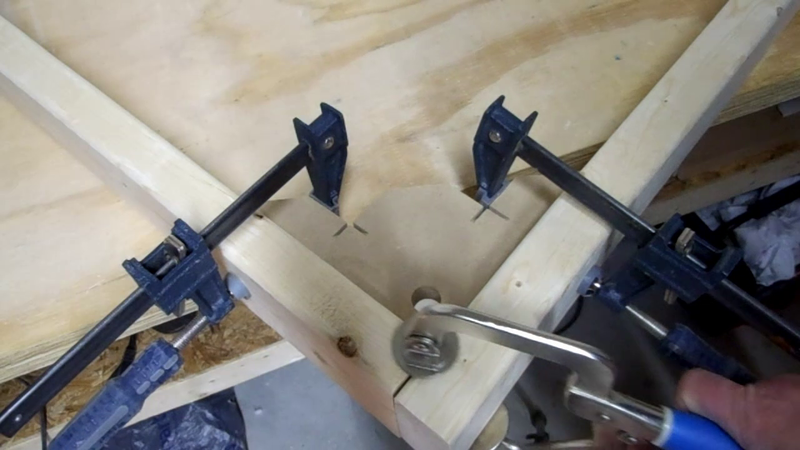 A face clamp to help keep edges aligned is also useful. Screw some blocks in the corners to hold the casters. Rip an 8 foot sheet of plywood to its 3 foot width. I used an assistant to help me do it on the table saw. Cut it to a length of 5 feet. Attach it to the frame with screws. 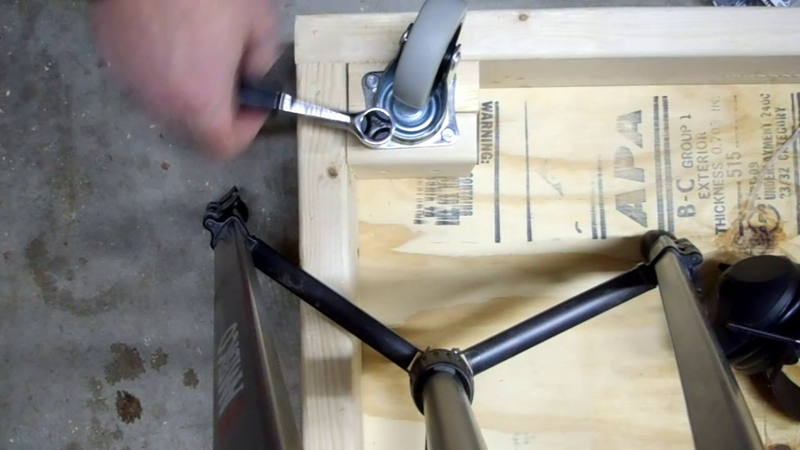 Attach the casters on the blocks with some lag bolts. Take the remaining plywood and construct a box where the person is going to sit. 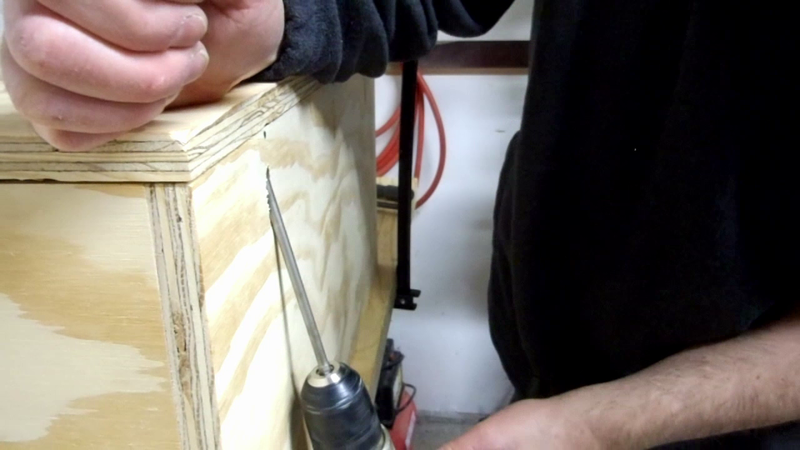 The box is going to be open in the back and held together by pocket hole screws. Mark out the 2 diameters for the inside and outside moon. 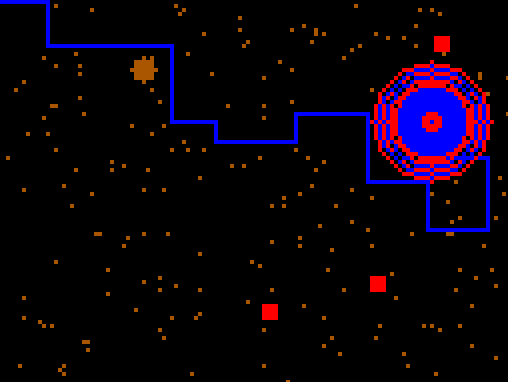 After looking at just this one diameter I decided that's not tall enough. 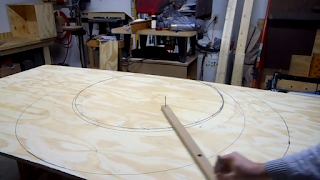 What I do is I make two sets of arcs with their center about 6 inches apart and try to smooth out the curve between them by hand. Cut out the moon plywood flat. 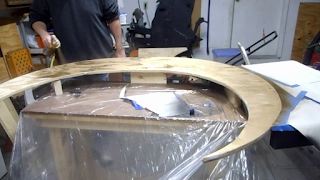 Use sandpaper to try to smooth the curve. Put the box on the base a drill 4 holes for the size bolts you use. I used 5/16 inch bolts. 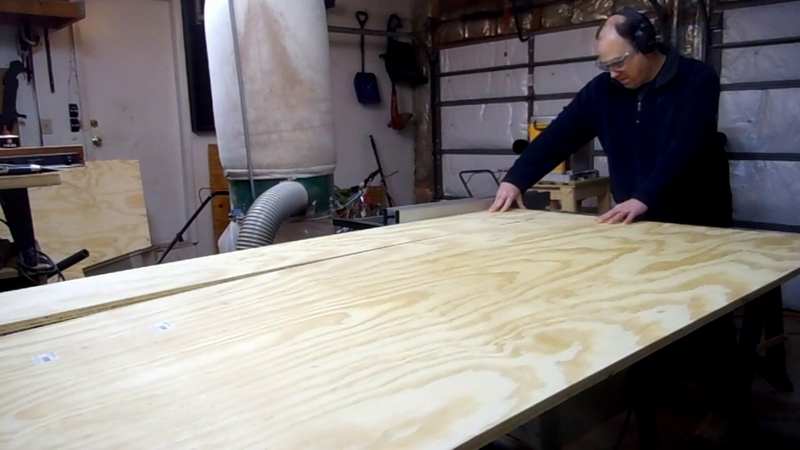 Attach some lengths of 2 by 4 to the plywood. The boards should be placed so the clamp around the box. 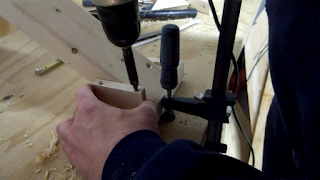 Drill holes for the bolts through the 2 by 4's and into the box. 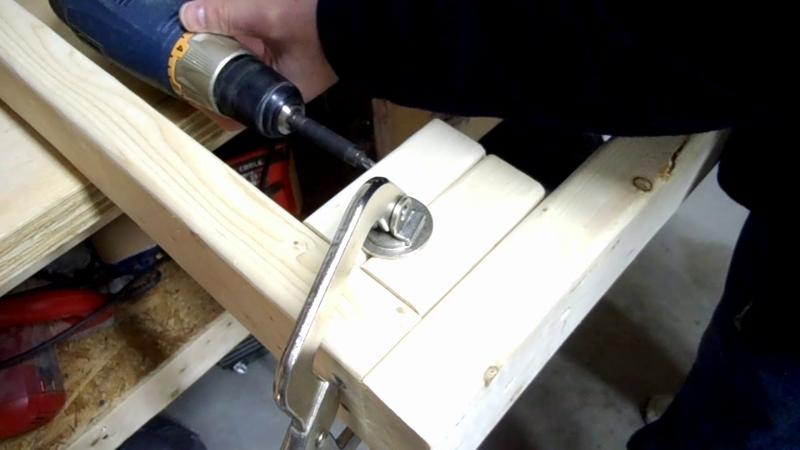 Use more 2 by 4 to make the handle for pushing. You can use some plywood and add them where the angled board connects to the board that attaches to the box. 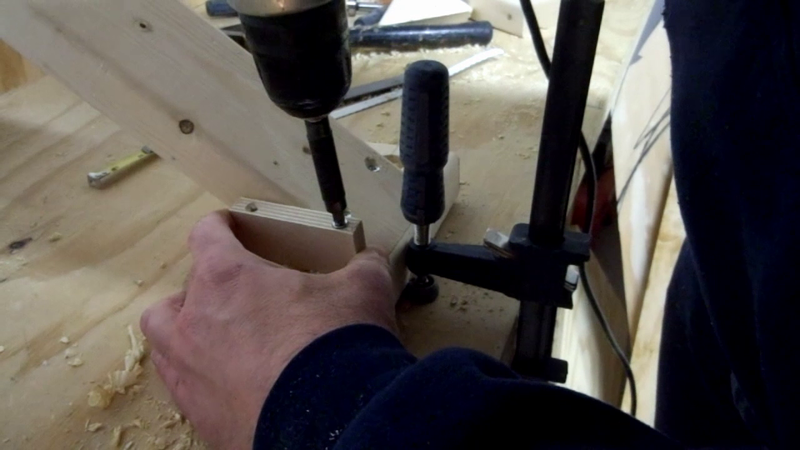 This will make the screw joint stronger, Drill the holes through the box for the handle. Fasten everything together using bolts with 2 washers and nylon lock nut. In order to hang some stars from the moon, cut out a thin strip of scrap, drill various holes through it so they can be arranged, and fasten it to the back of the moon. Now you can fasten the stars with fishing line, stringing the line through the hole and tying a washer on the other side to hold it in. Plans in Sketch Up format.